If you create reports on a regular base and mainly use the same filter combinations, you do not need to adjust the filter settings each time. You can save those filter settings and reuse them. For saving filter settings permanently you need to be InLoox admin and you should have the permission “Create and edit report templates”. 1. Click on Projects in the Outlook navigation bar. 3. A new window will open. There you can see all currently saved reports. 4. 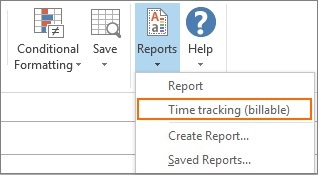 You can create a new report template, by clicking on New. the name of your template. to which projects the report is referring to. which report template you want to use. which project data should be included (filters). If you want to give all other InLoox users access to your saved report, you need to tick the checkbox Visible for all users. 6. Click on Save Report, to save your settings and to close the window. 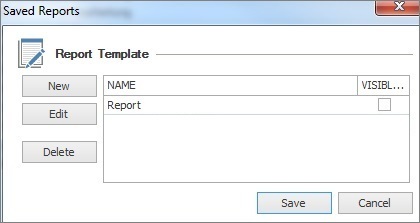 The saved report template is permanently available to you (and all other InLoox users, if you have ticked the checkbox) on the Start tab >> Reports >> Saved Reports…. 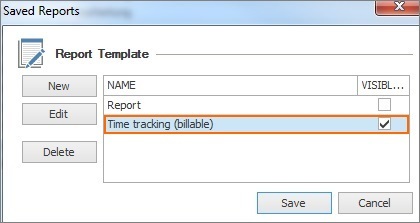 There you also can edit or delete the report template. 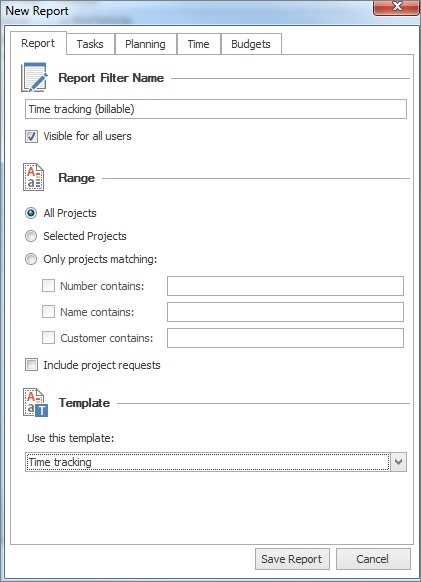 To create a new global project-report using this template, click on Projects in the Outlook navigation bar. Then click on the Start tab and on Reports. The new template appears in the drop-down-list and you just have to click on it, to create a new report using that template. How to save filter settings permanently • Copyright 1999-2019 © InLoox, Inc. All rights reserved.